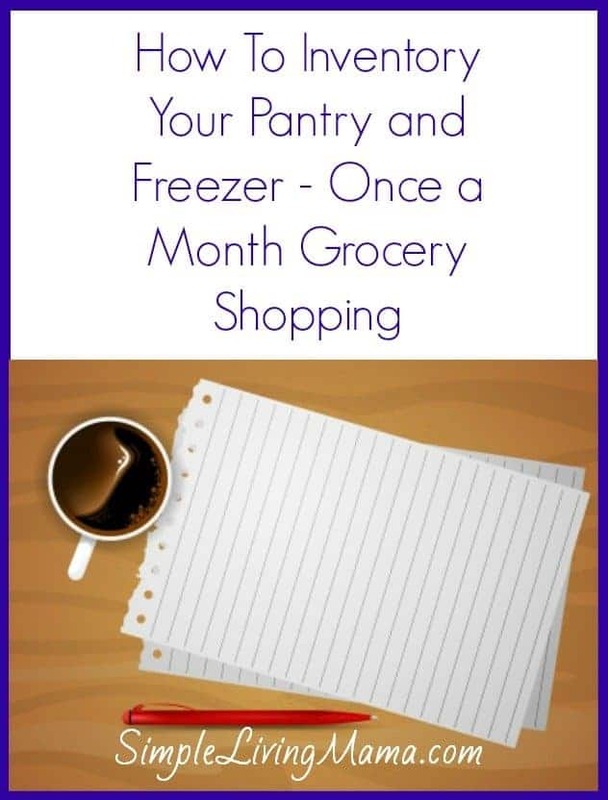 Once you’ve made a master list of meals for your once a month grocery shopping trip, you need to know how to inventory your pantry and freezer. It’s important to know what you have on hand so you know what meals you can easily pull together. Doing all of this work before hand can really help you to learn how to live simply by simplifying your grocery shopping. I do this the old fashioned way with pencil and paper. Go through your cabinets and make a list of everything you have. Do the same for your freezer. Don’t forget to write down approximately how much you have left of most items. Only two chicken breasts left? Make a note because you’ll need more. While you are taking inventory, begin your shopping list. Take note of items you are running low on and add them to your shopping list. Only two chicken breasts left? I usually need to completely restock meat every month. Once you have a list of everything you have available, look over your master meals list. Are any ingredients missing? The goal here is to have a master list of all the food you need to have in your home at any given time to pull a meal together. I am a fan of meal plans, but let’s face it. Life happens. You have a rough day and forget to pull meat out of the freezer. Okay, you need to have some meatless meals you can pull together at the drop of a hat. I like garlic pasta, or I can make parmesan crusted tilapia because it’s super easy to thaw fish in a pinch. It’s going to take a few months to figure out exactly the amounts you need to purchase of each item during each trip. You will not need to buy every item every month. Spices, oil, flour, and other dry goods last me a few months at a time. You may even be able to look over your inventory and see other meals you haven’t thought of that you can quickly pull together with the things you already have. 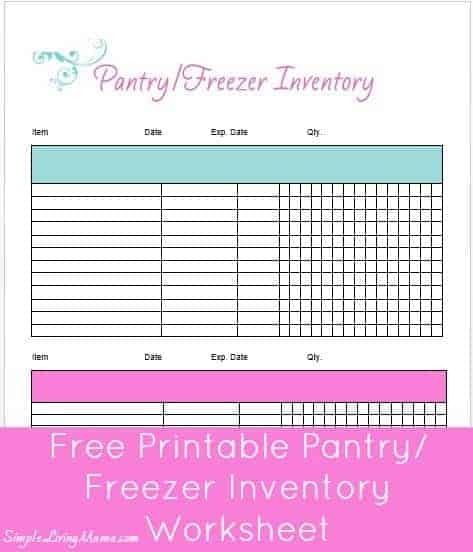 I have designed a free printable pantry/freezer inventory worksheet for you to use! Want to get updated printables and all of this information in one place? 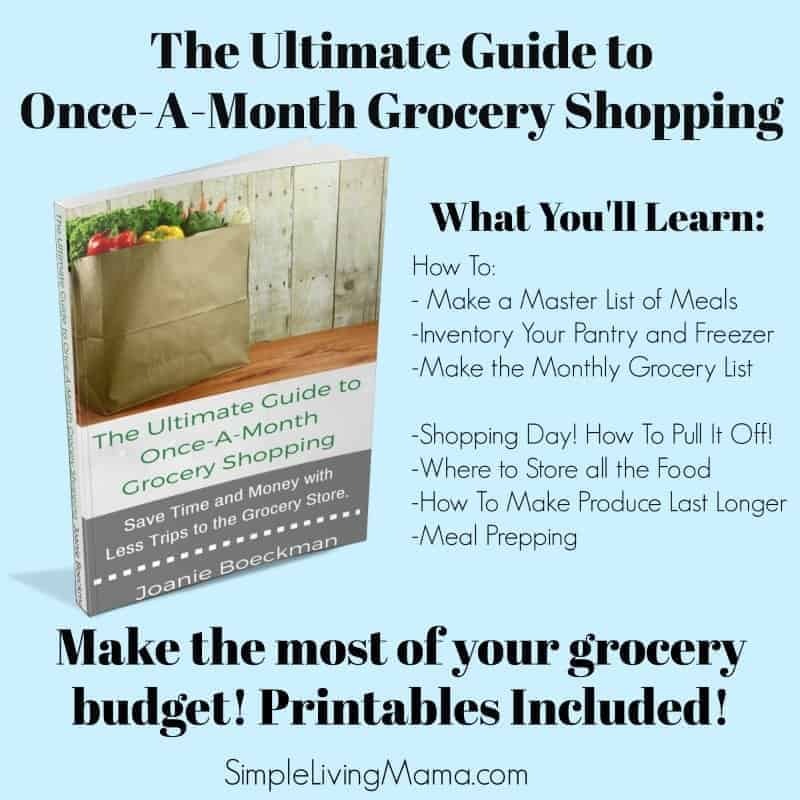 Check out my eBook The Ultimate Guide to Once-A-Month Grocery Shopping. 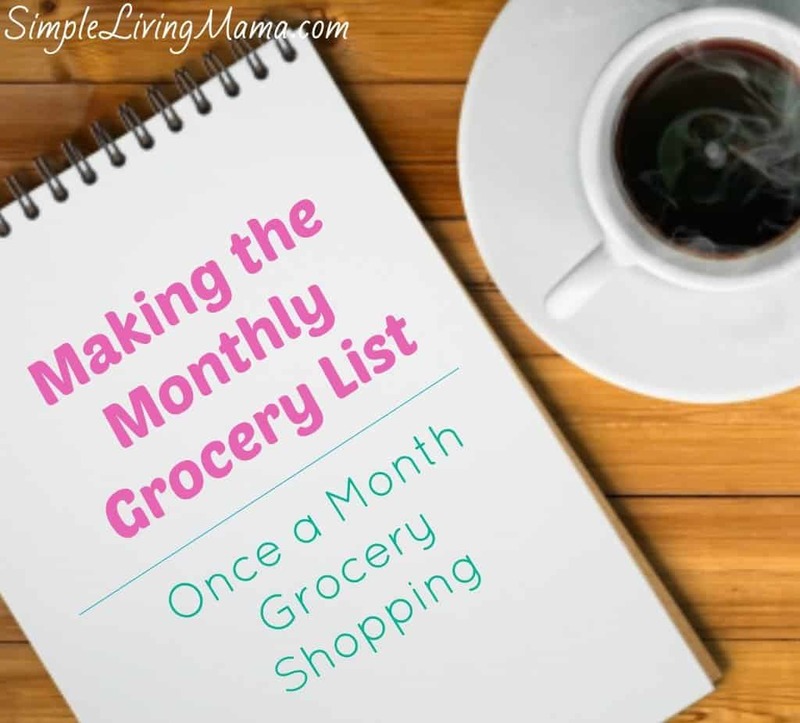 Next up: Making the monthly grocery list! Keeping inventory is SUCH a great way to squeeze more meals out of your pantry and freezer. Thanks so much for the link! I’m struggling with a reasonable healthy budget for our family of 4. Will you share what kind of budget your family uses? Hi Mrs. P. The budget is something we will be re-working as my husband will soon be starting a new job. We spend about $600 a month for a family of 5. That does include toiletries and pet food. Once my husband starts his new job and we have our new budget in place, I will do a post on it.